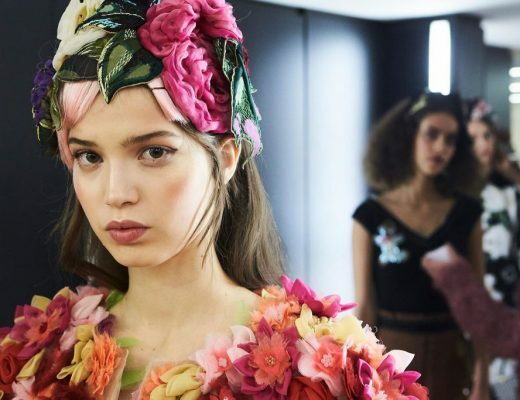 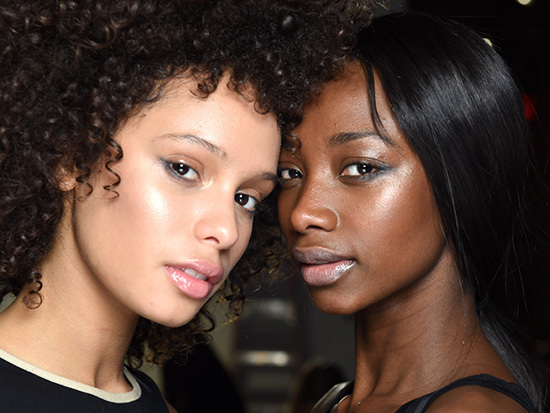 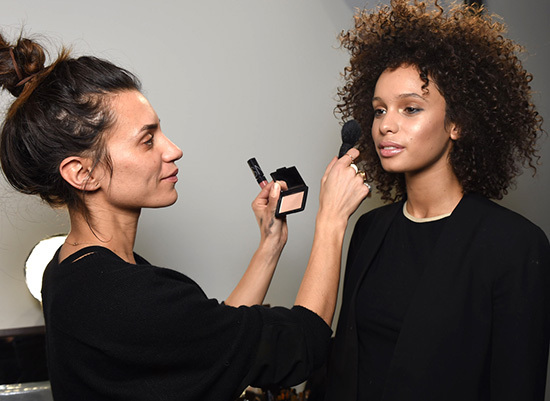 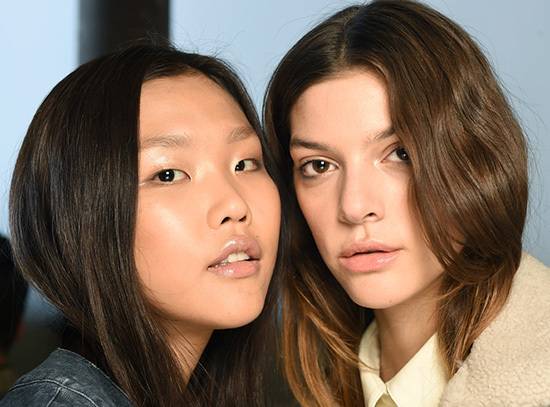 New York Fashion Week officially kicked off yesterday and at Rachel Comey Autumn/Winter 2015 show, lead artist Maud Laceppe for NARS Cosmetics created a “fresh and effortless girl” with gleaming skin. 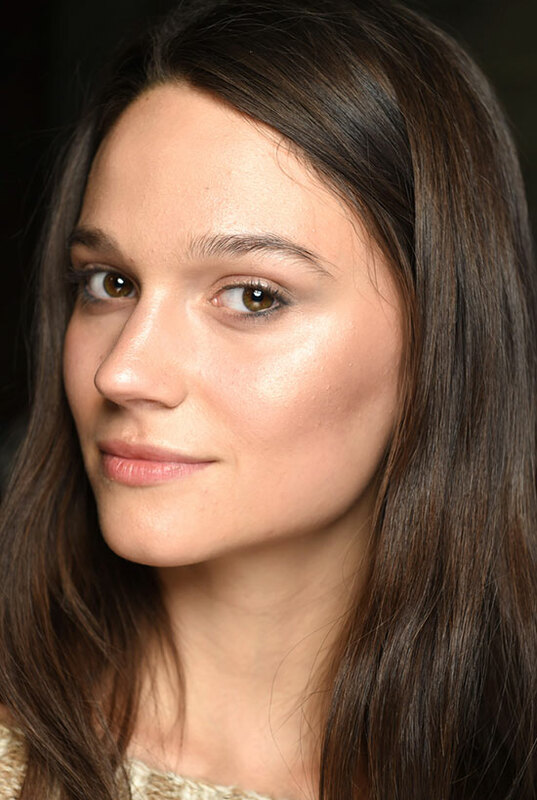 Laceppe gave the skin a “dewy, almost wet look” with NARSskin Luminous Moisture Cream, Copacabana Multiple, Pure Radiant Tinted Moisturizer and Soft Velvet Loose Powder. 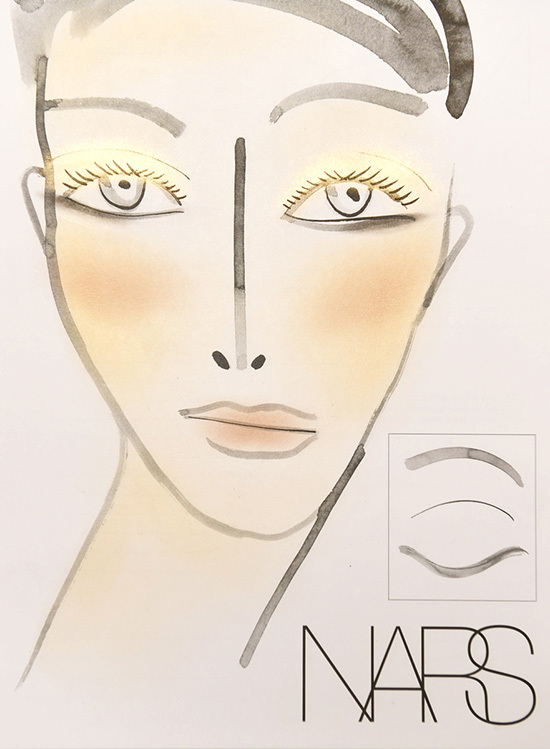 She further enhanced the glow by adding Copacabana Multiple and Tribulation Blush (new for Fall 2015, try Nico Blush for now) on the eyes and cheeks before defining them with Reykjavik Velvet Shadow Stick and Contour Blush. 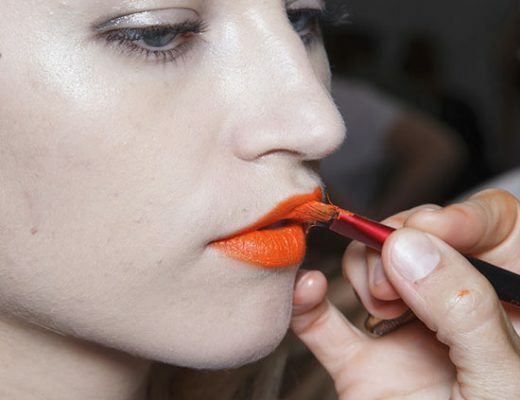 She finished the look with a touch of sheer lip gloss, the upcoming Chelsea Girls, on the lips.